All types of credit -- from good to bad -- can qualify for an auto loan at Swan Lake Motors. We work closely with a variety of financial instutions in order to get you a hassle-free loan, and we'll do our part to make sure you're getting the best rate possible on your next pre-owned vehicle. Our priority is to get you on the road in a quality used vehicle that will last you for many years to come, and we will help you find a car, truck, van or SUV that suits your needs with low monthly payments that you can afford. At Swan Lake Motors, we make vehicle financing quick and easy. In fact, you can start right now by filling out our Online Credit Application form. Which is why auto loans exist. But what if you can't get an auto loan? In today's economy, it's hard to get financing if you have bad credit or no credit, but at Swan Lake Motora, our goal is to make sure you drive home in a quality pre owned vehicle no matter your credit situation! Bad credit happens to good people too, which is why we offer both good and bad credit financing. 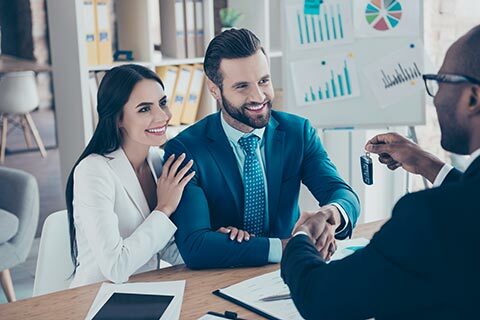 Our finance department has connections with dozens of lenders, many of which were chosen specifically because they cater to customers with unique credit problems. If you've been to dealership after dealership but haven't had much luck, don't lose hope, and head on down to Swan Lake Motors, we serve Prince George and the entire Okanagan area!